PLS Blog: Borders bookstore closes, so where do you buy the books? Borders bookstore closes, so where do you buy the books? It's sad to see a big bookstore chain like Borders is closing. 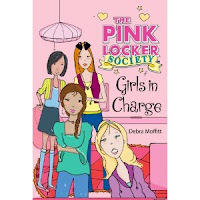 Several girls have written to the blog to say they don't know where they'll get Pink Locker Society books now. Fortunately, there are other bookstores and websites that sell the book series. Here's some info about BUYING THE BOOKS. 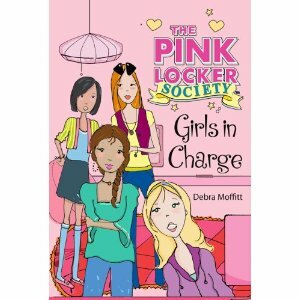 The fourth book - GIRLS IN CHARGE - comes out September 27! You can get a sneak peek HERE. It's really too bad that a bookstore is closing. Not even a bookstore- a bunch of bookstores! WHAAAAAAAAAAAAA! I can't wait to read the fourth one!!!! That was me that asked the question!!!!! Right Jemma?!?!??? Can we find it in National bookstore? OMG! Friends r being SOOO annoying! Can anyone help me?? I just found the book and I'm reading it right now (literally)! So far, it's really good. I'm trying to persuade my sister to read it but she doesn't want to. Too bad borders is closing! I loved that place! You could always go to Barnes and Noble.It is a good place to buy books too. P.S I can't wait to read EVERY book in the PLS series!!!!!!!!!!!!! !